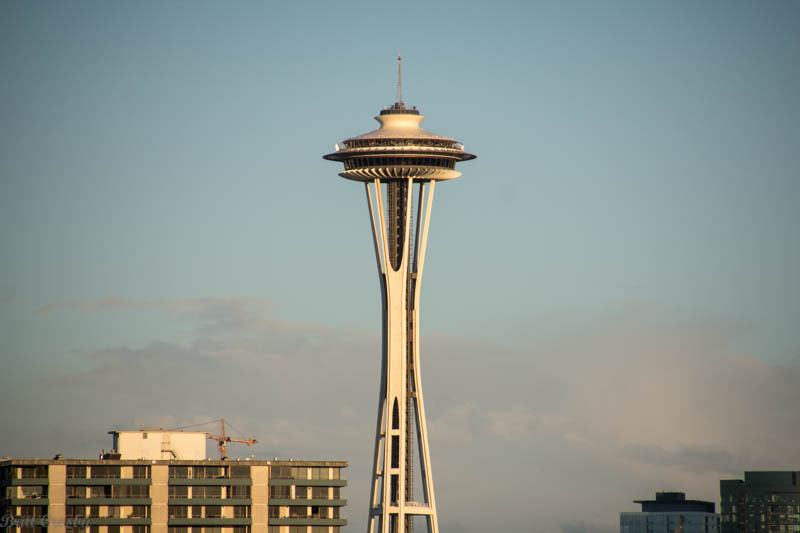 Today would be an important day. 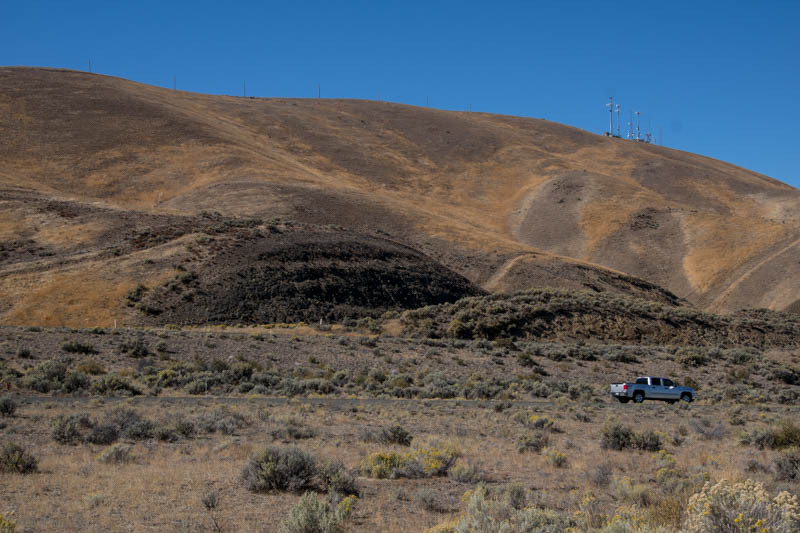 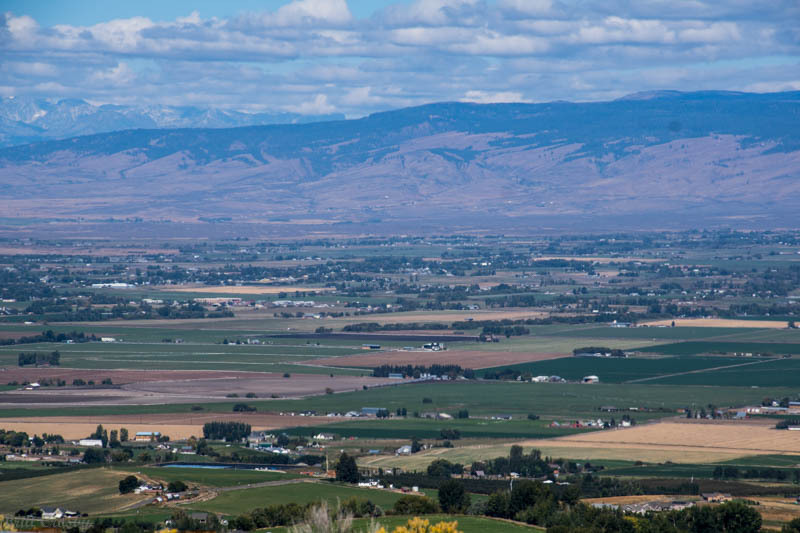 We left Pasco in southeastern Washington and drove northwest on I-82 and I-90 towards Seattle. 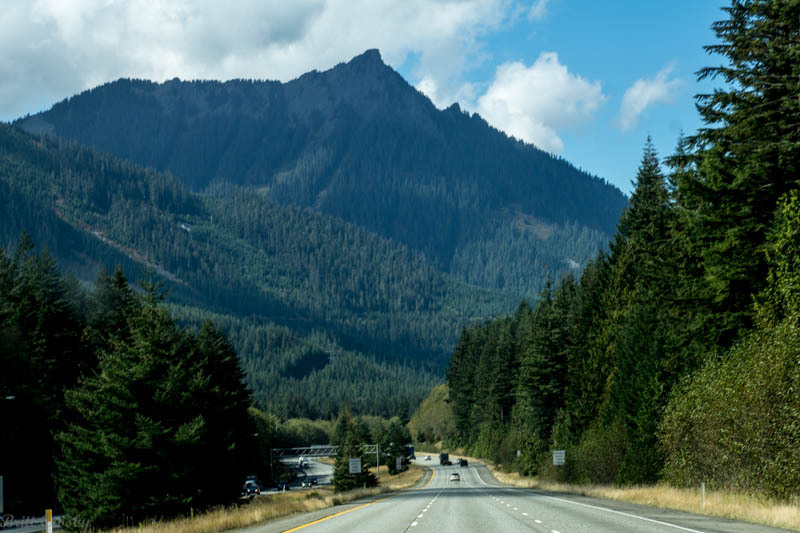 Along the way we made a stop in Yakima and then transitioned from the high desert climate thru the mountains and a long decent through the tall evergreen Snoqualmie pass coming into the Seattle area. 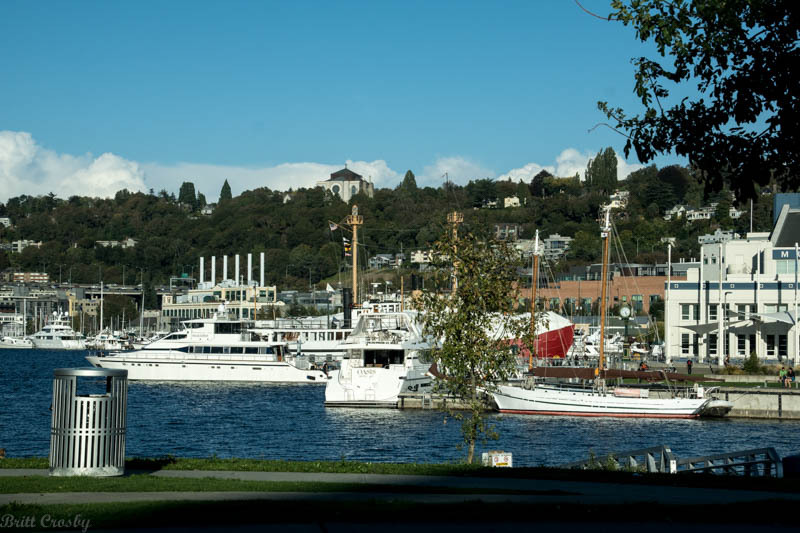 We arrived at Robyn's sister's place in Bellevue where we would "camp" for the next few days while visiting the Pacific northwest. 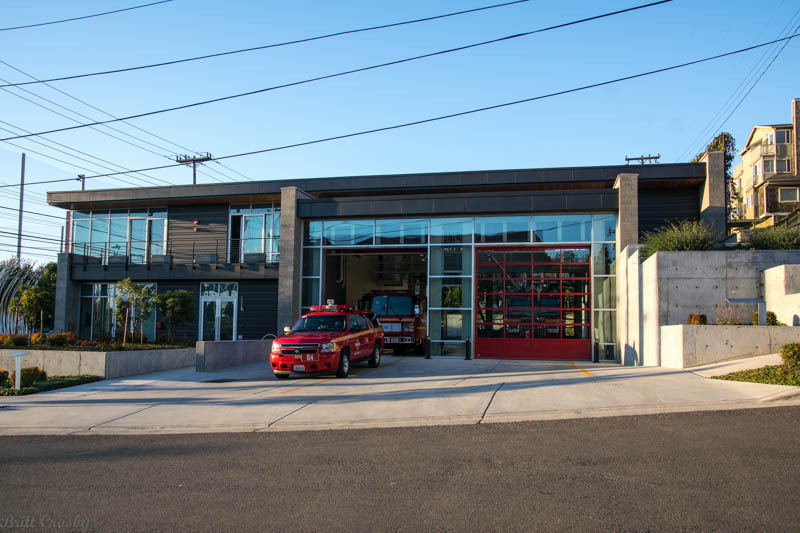 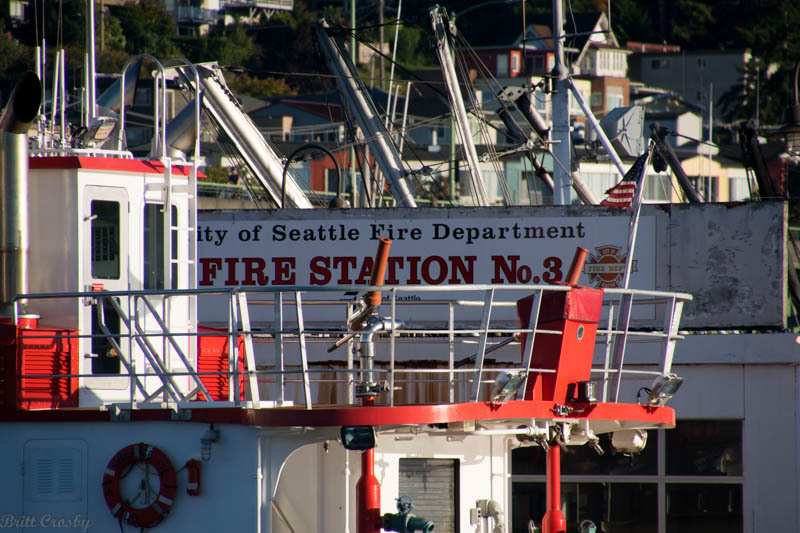 Once we got settled, we got a rental car, and I headed off into Seattle to find the fireboats. 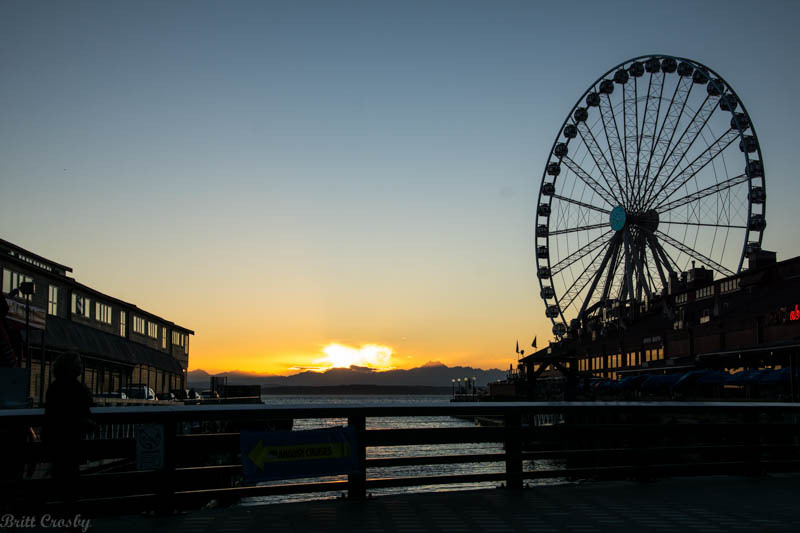 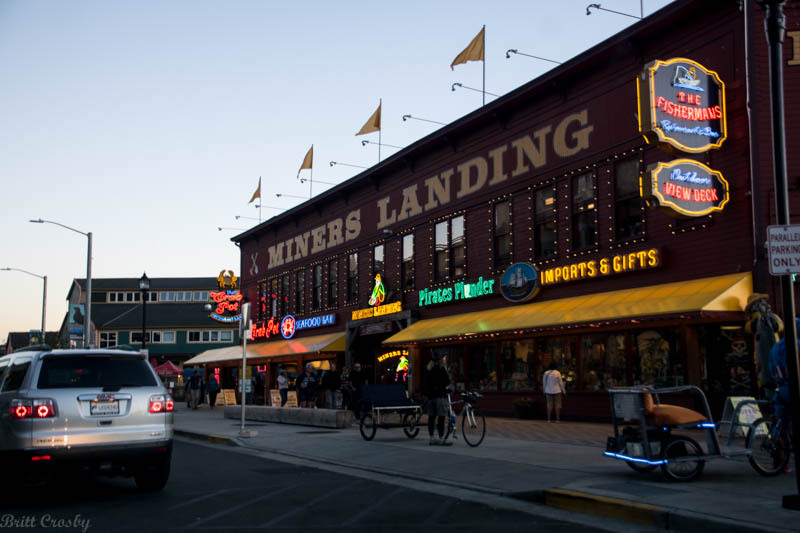 Seattle has an amazing congested waterfront and is surrounded by both fresh and salt water. 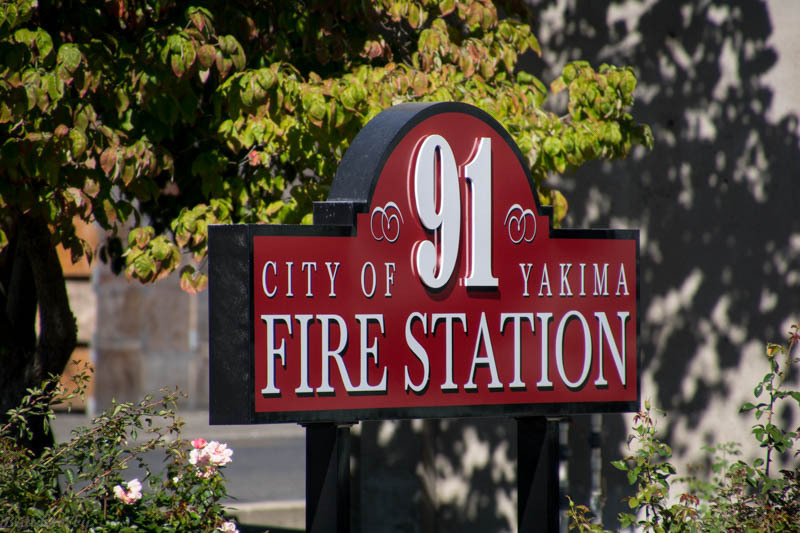 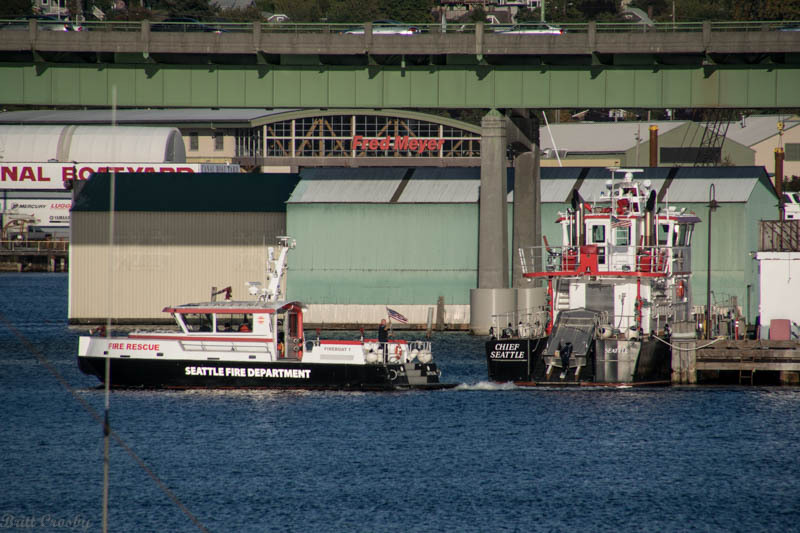 At least four fireboats protect the area. 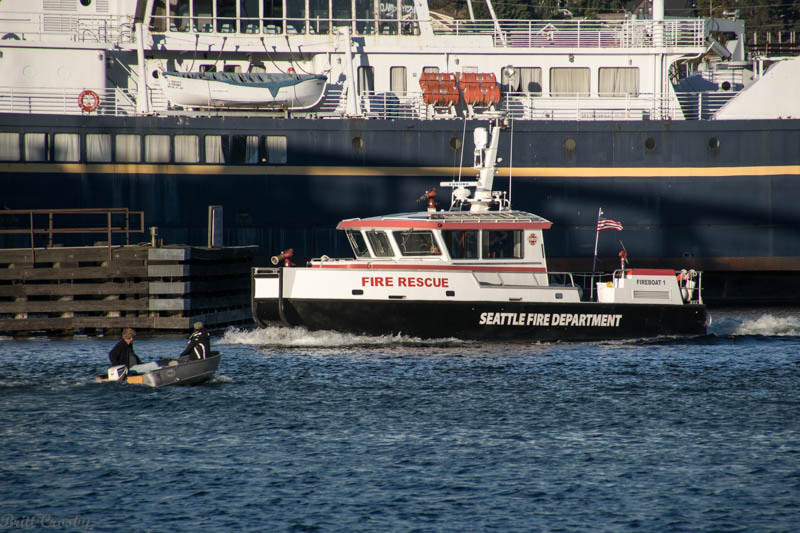 We found them and got some photos while also experiencing some of the "no one is moving" traffic jams of late afternoon. 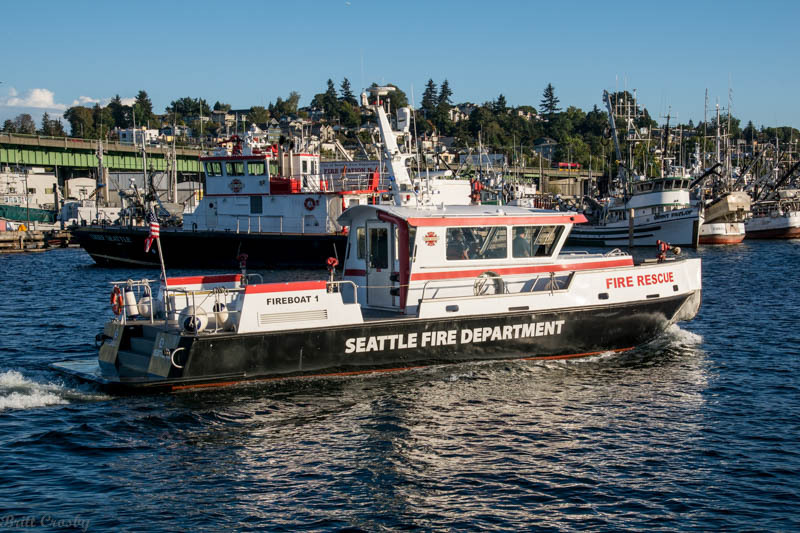 FIREBOATS: Seattle boats (15) "Chief Seattle" (16) "Fireboat 1" (17) "Leschi" (18) "Fireboat 2"
Seattle has at least two Fireboat stations. 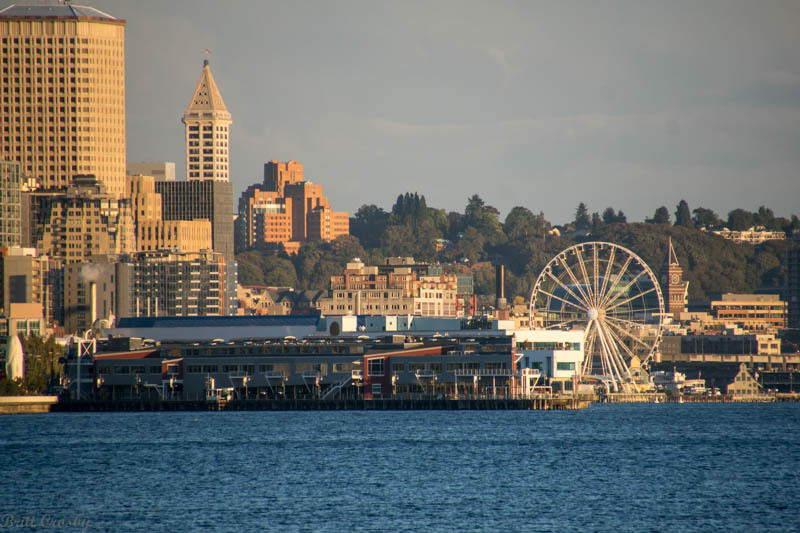 Lake Washington with the salt water of Puget Sound. 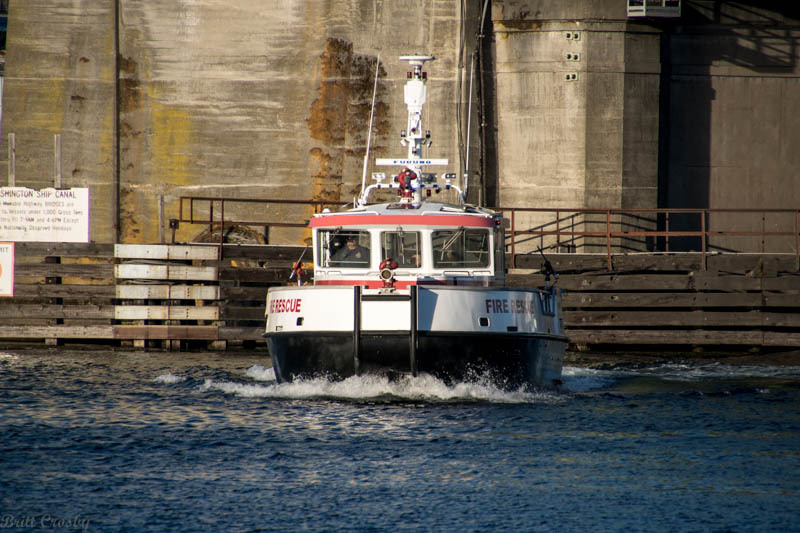 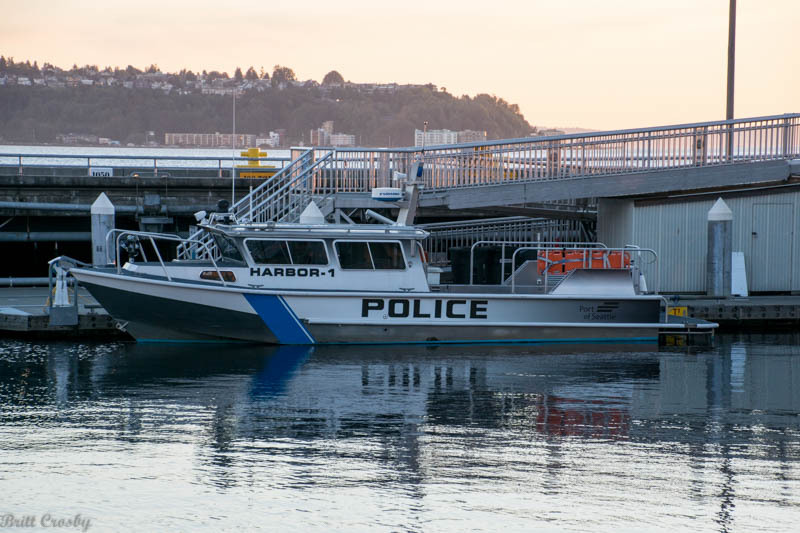 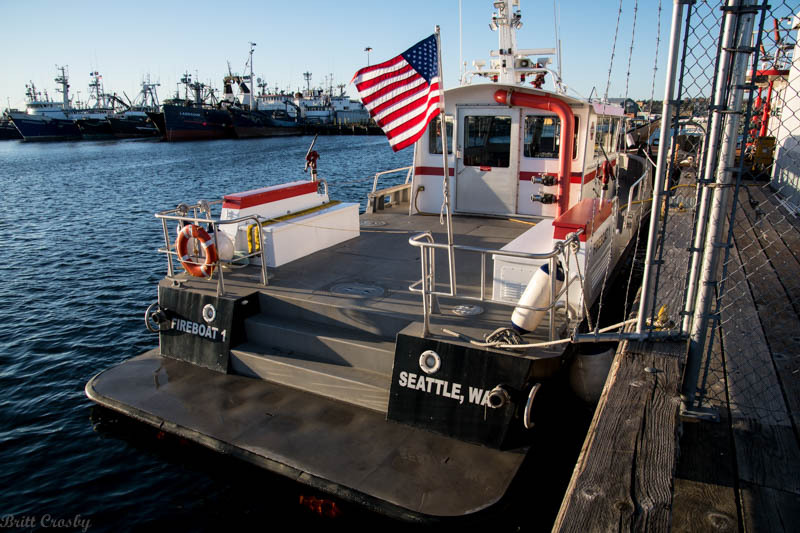 These boats have primary responsibility for the fresh water areas surrounding Seattle. 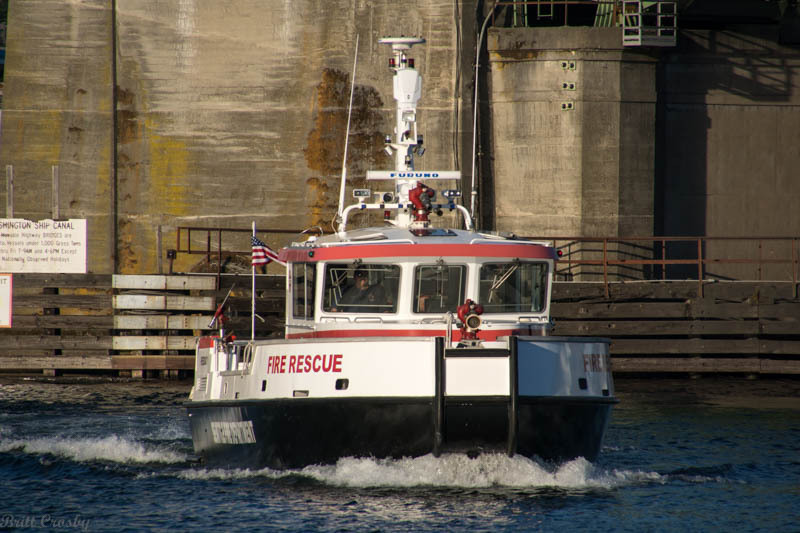 but was soon returned when everyone was reported to be safe. 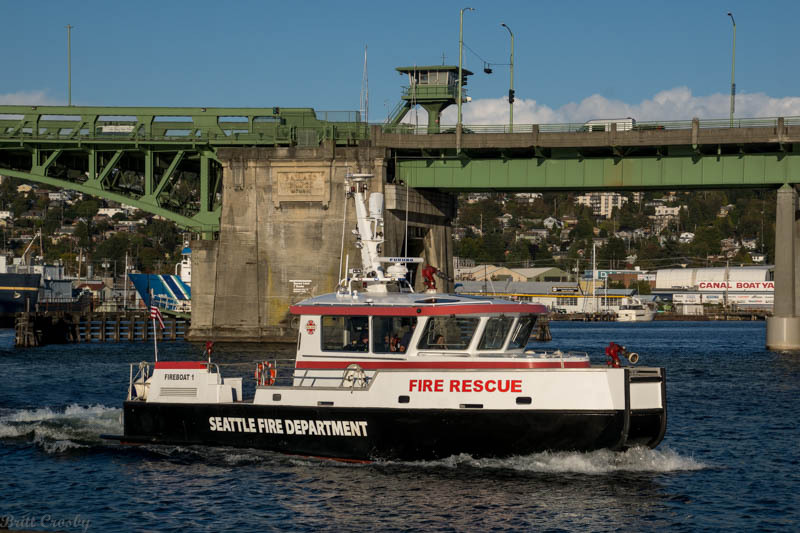 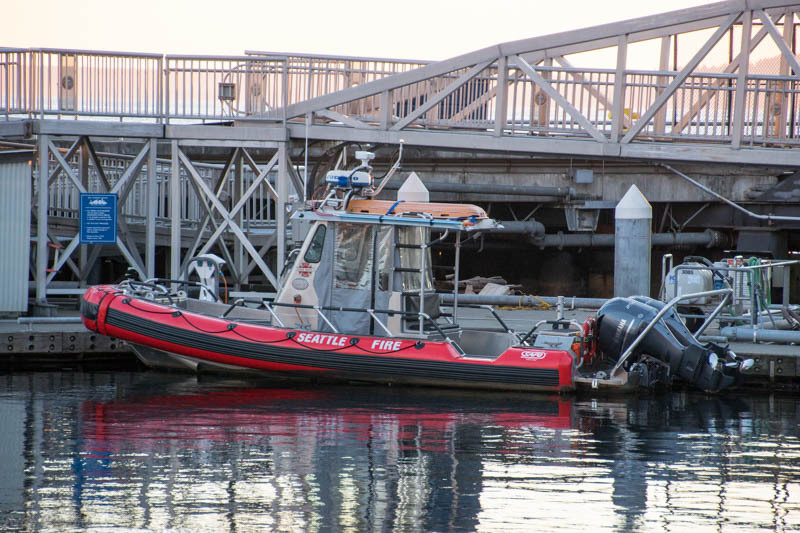 Seattle's Fireboat 1 is a 50' "fast boat" built by MetalCraft in 2006.
in 2014 and is assigned to the other fireboat station. 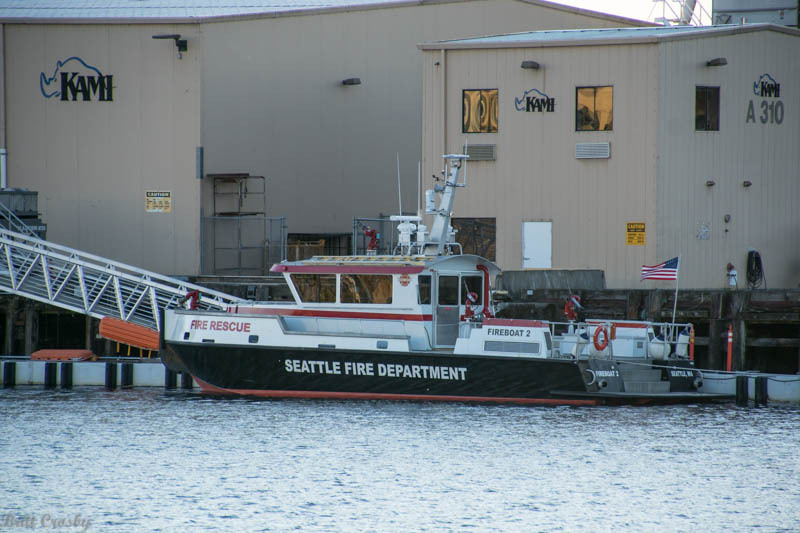 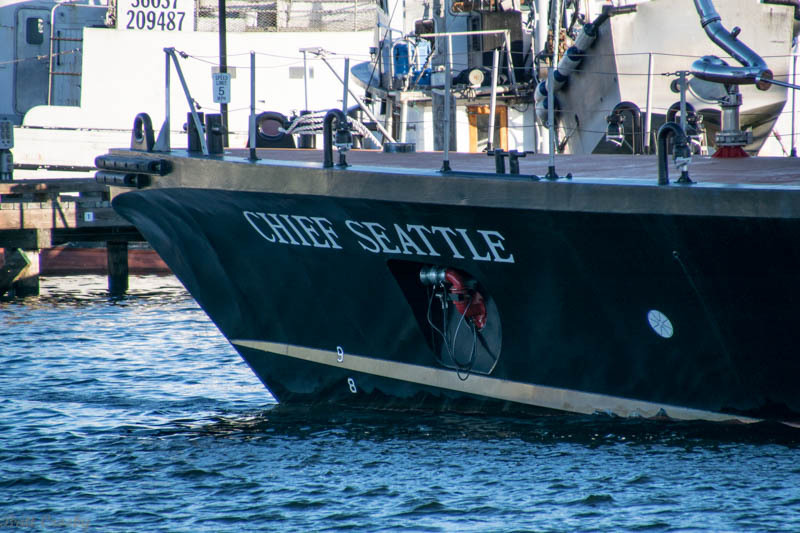 The "Chief Seattle" is a 96' long large fireboat built in 1983.
of about 10,000 gpm. 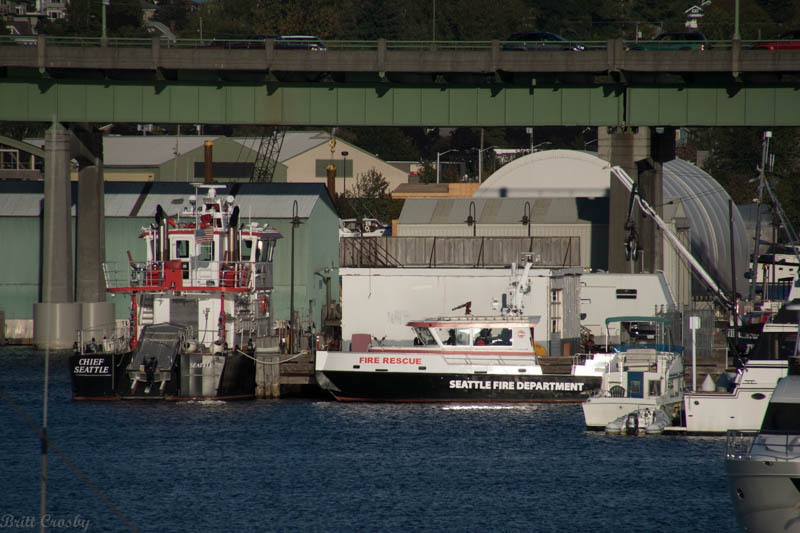 It is docked with Fireboat 1 at Fisherman's Terminal. 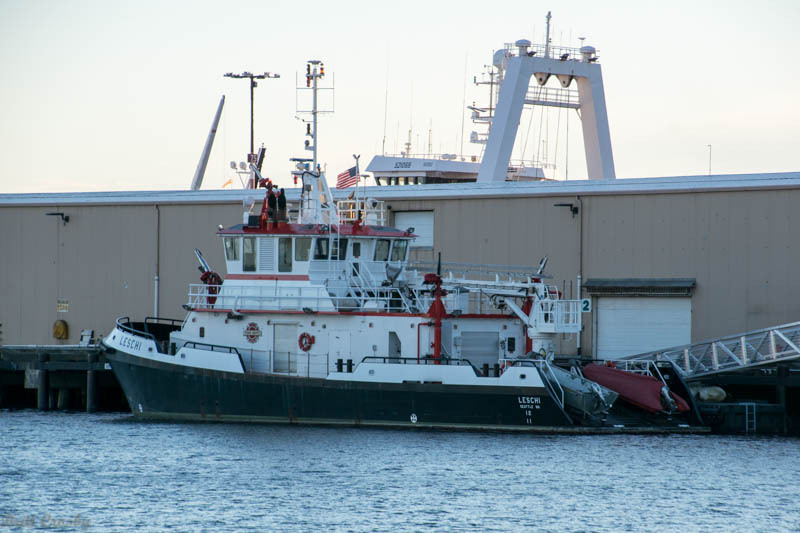 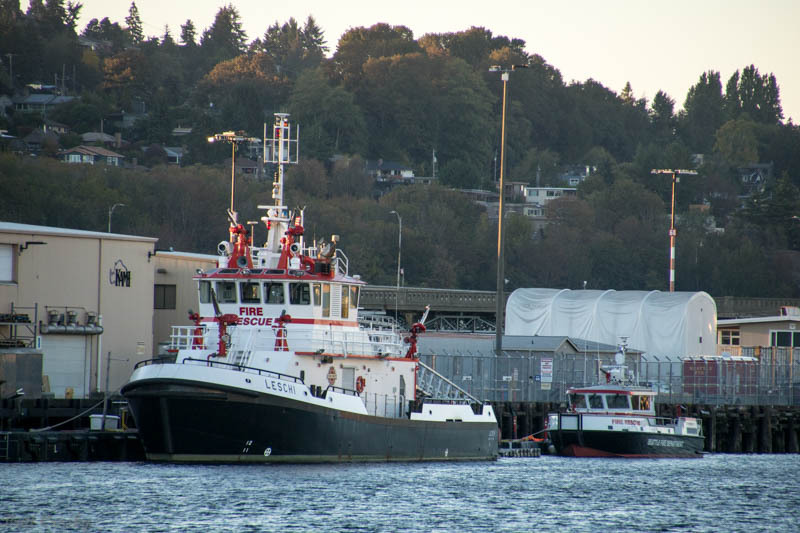 The salt-water side of Seattle is protected by these two fireboats. 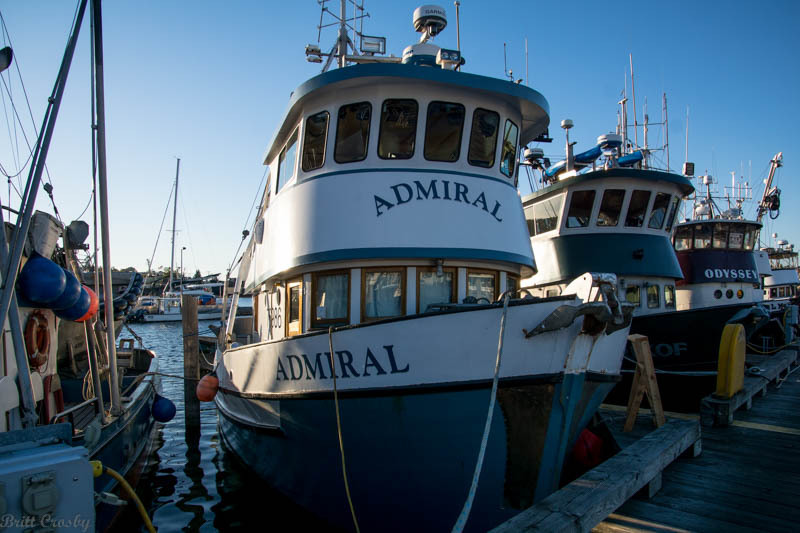 vessels are temporarily docked at the cruise ship piers at Smith Bay. 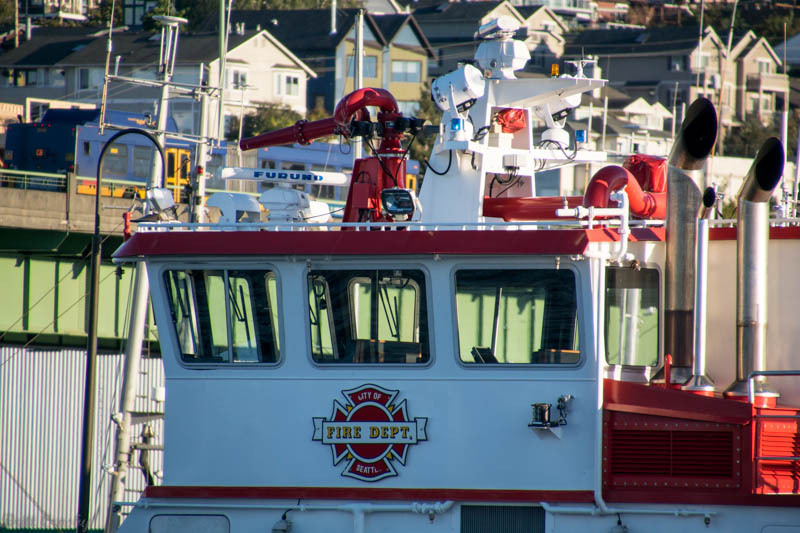 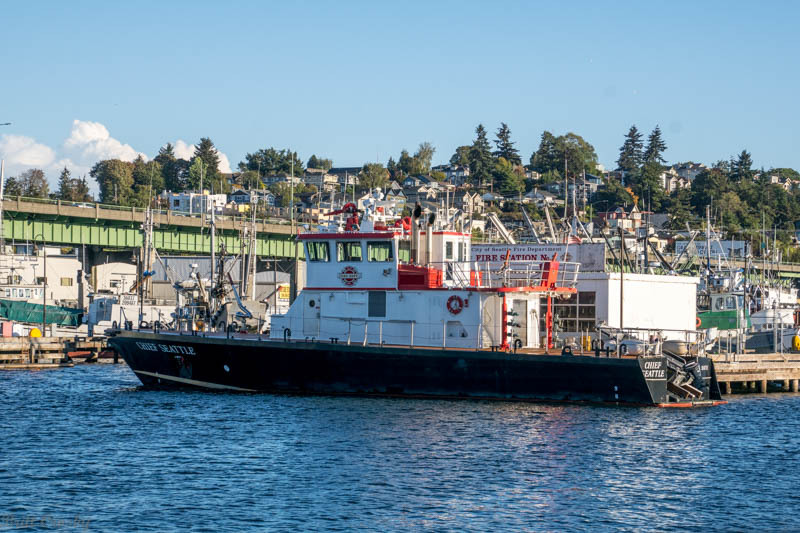 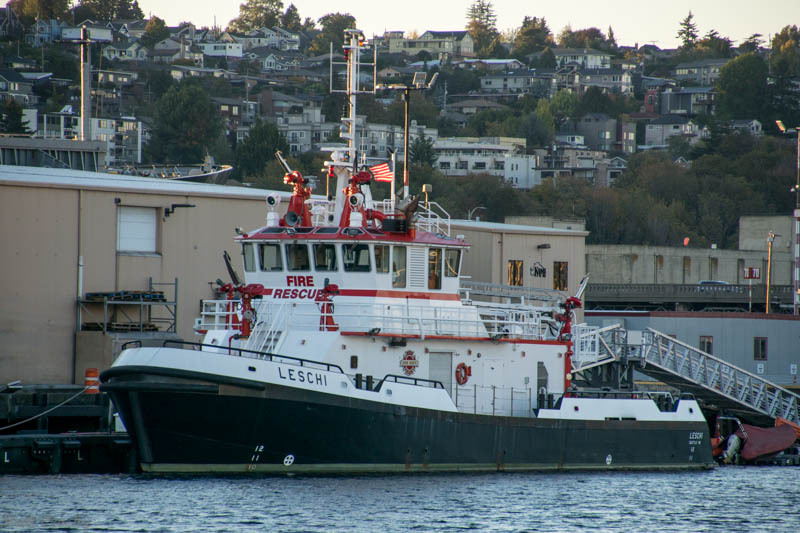 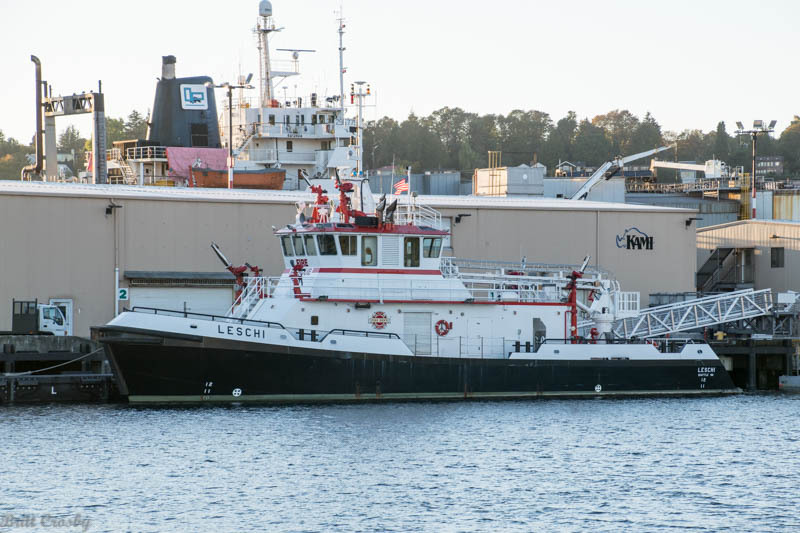 The "Leschi" is Seattle's largest fireboat. 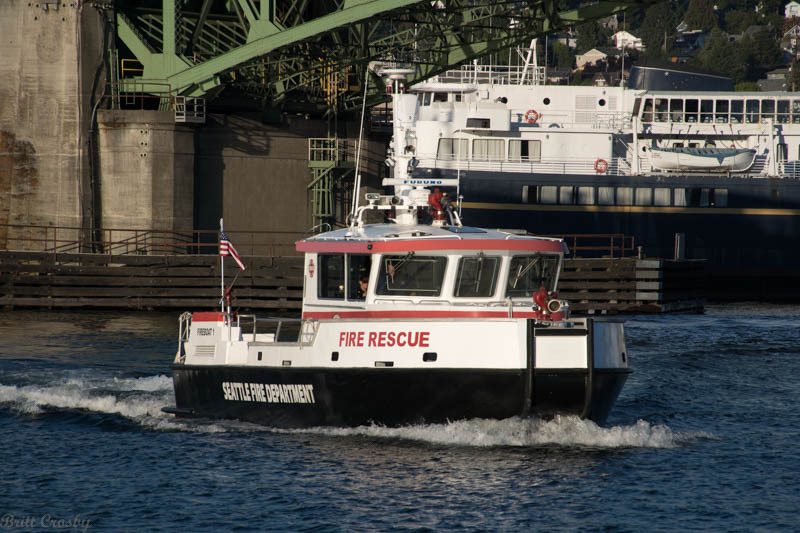 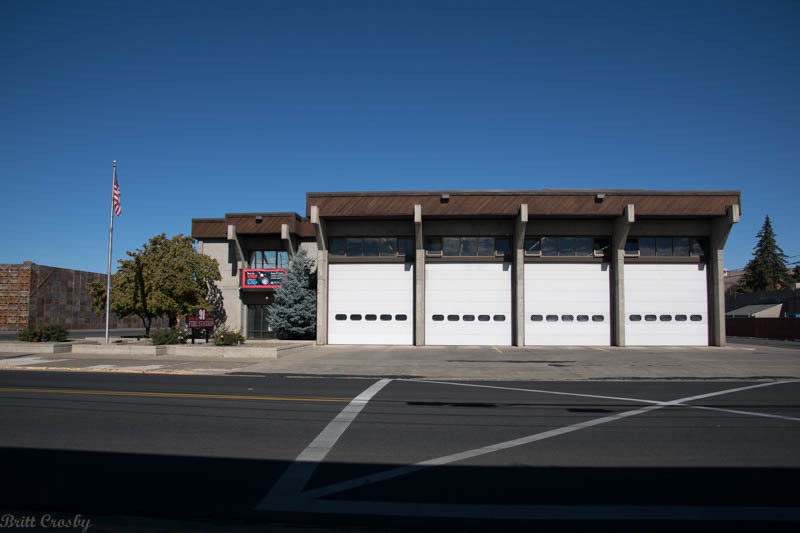 Built in 2007, the 108' vessel can pump over 22,000 gpm. 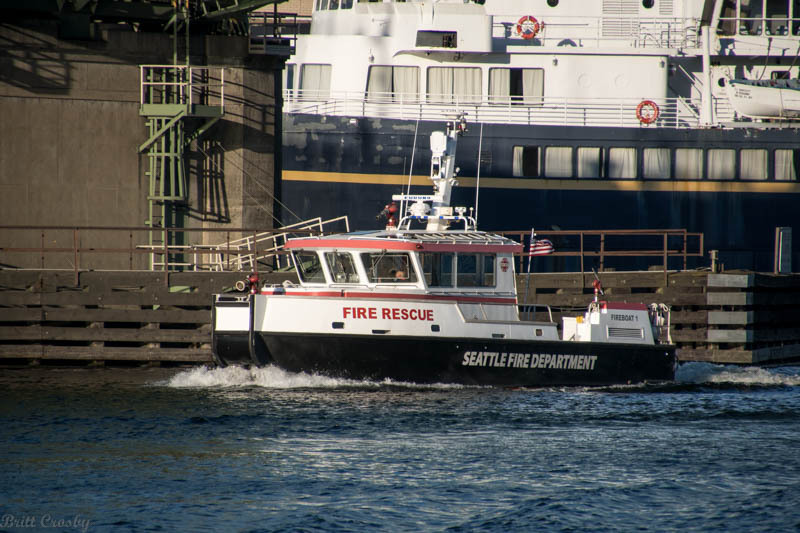 at 50' in length and pumping about 7,500 gpm. 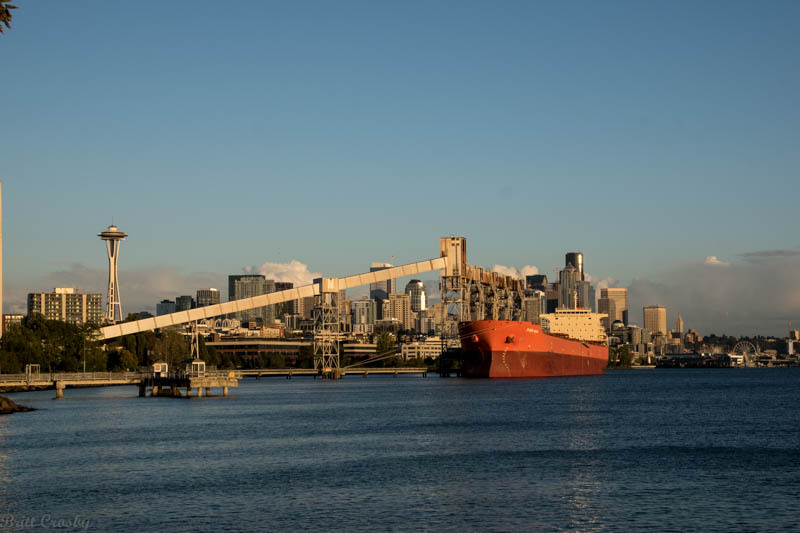 Looking back at the Seattle skyline from a point near the cruise ship terminal. 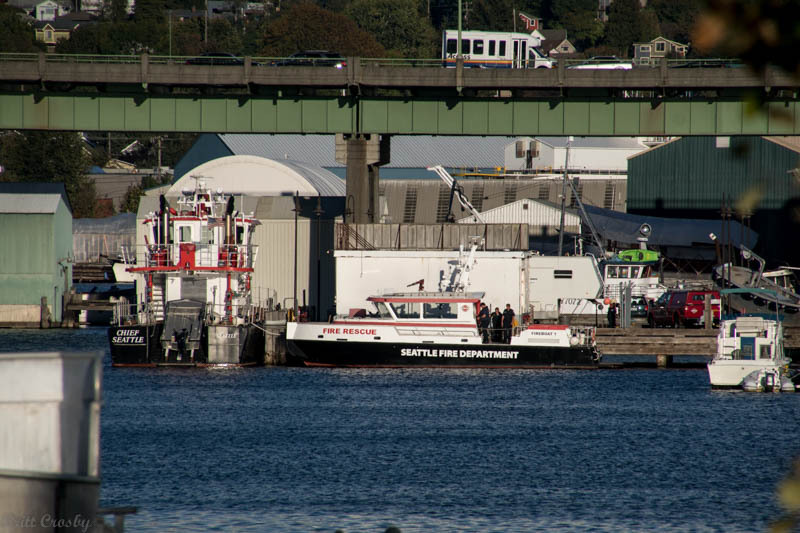 Both of Seattle's stadiums are down along the waterfront. 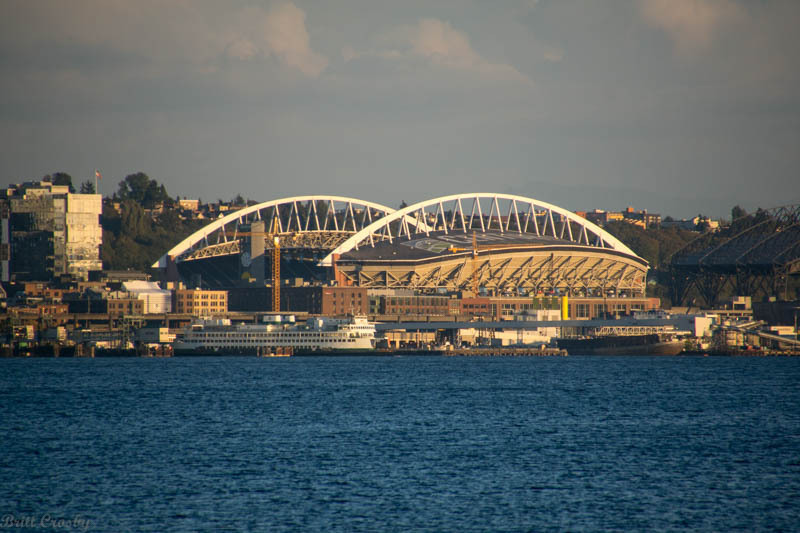 The NFL Seattle Seahawks play here at CenturyLink Field. 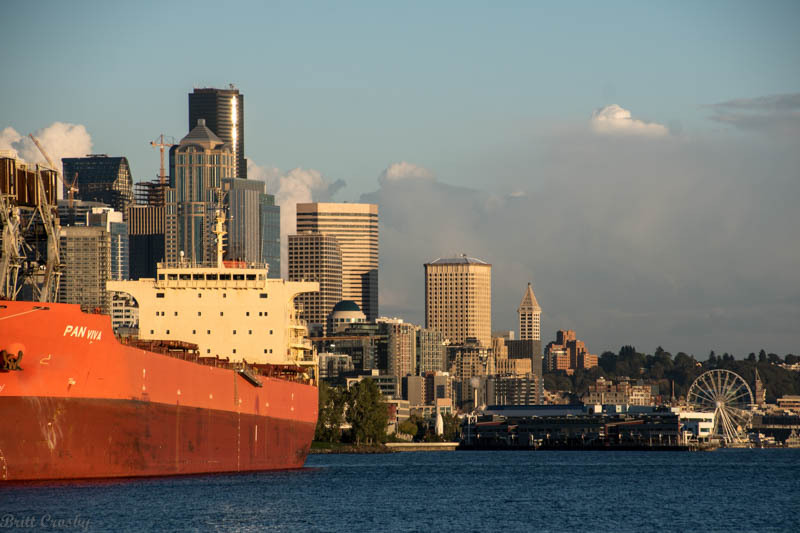 To the right is the MLB Seattle Mariner's Safeco Field. 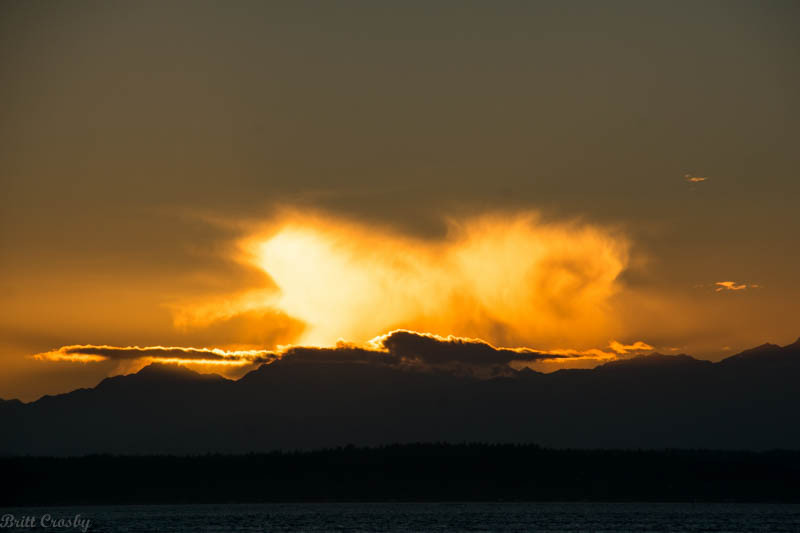 Looking off to the west of Seattle is the Olympic National Park. 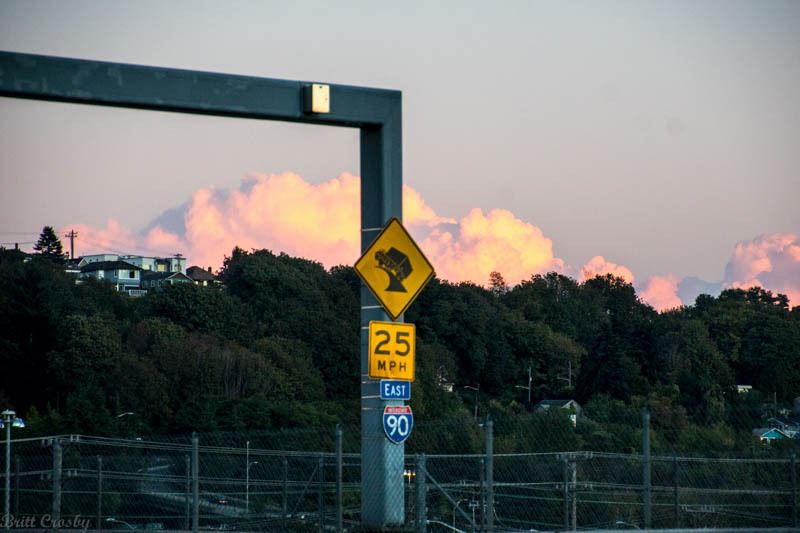 The cloud formations over the mountains make for a spectacular sunset.